Reptiles are ectothermic, which means they get their body heat from external sources. They cannot regulate their body temperature. 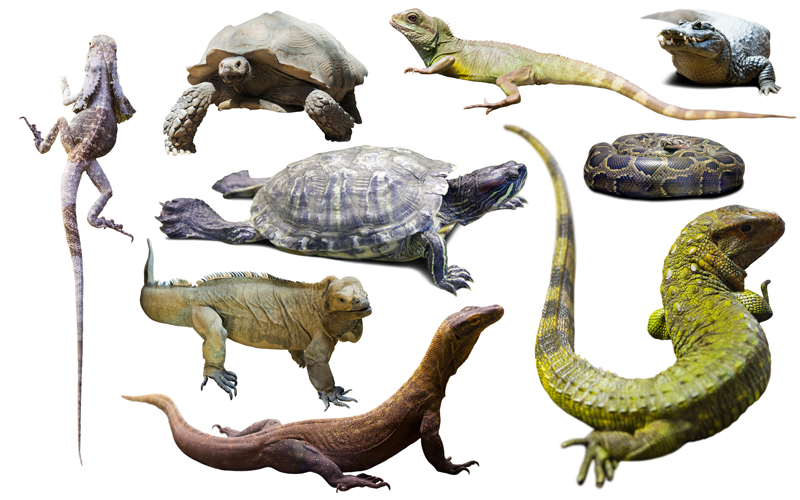 Reptiles are the longest lived species on the planet. For example tortoises can live more than 150 years, alligators can live nearly 70 years. Reptile’s body is covered in scales or they have a bony external plate called shell. Reptiles cannot chew their food, they can only tear it. The skull of the snake is bony and contains non stretchy brain case which is connected to the rest of the skull by ligaments. The posterior of the skull is attached to the lower jaw which helps the snake to open the mouth widely.